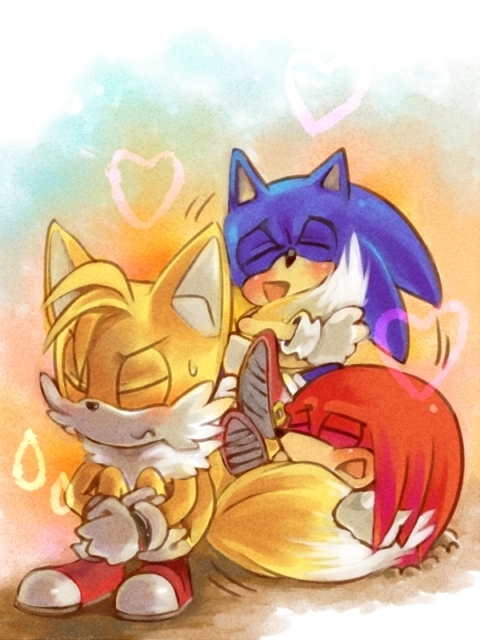 fluffy tails!! x3. . Wallpaper and background images in the Miles "Tails" Prower club. This Miles "Tails" Prower photo might contain anime, comic kitabu, manga, cartoon, and mkono. me: Sonic, knux, let him go!!! fur....furrr....FUR! i lov yo fa! guys get off of tail's.. fluffy... soft... very cute tails.